It is the final day of the ICE totally gaming show and I’m going there for a few hours before heading out to Heathrow and my flight home. My main reflections from being at ICE yesterday is that more gaming providers are turning into “full gaming providers”, meaning that they provide many different kinds of game types, insted of focusing on just one. I am not sure if this is good or bad but I believe that it makes it harder for new smaller companies to attract operators since the operators can use one gaming provider for many of their games. 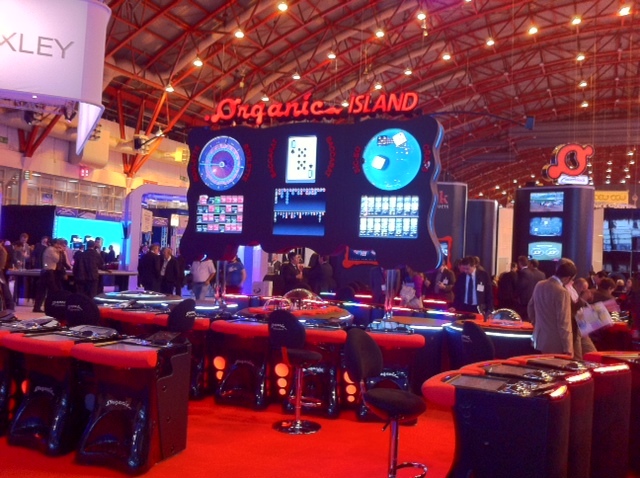 At ICE there is one section for land based casinos (bigger than the online) and one for online gaming. It is very interesting to walk around the part of ICE which is for the land based casinos and look how they are using more and more touch user interfaces. I think this is great, one game that really looked great is “Tarzan Lord of the Jungle” from Aristocrat. If you get a chance then go by their stand and take a look at it.